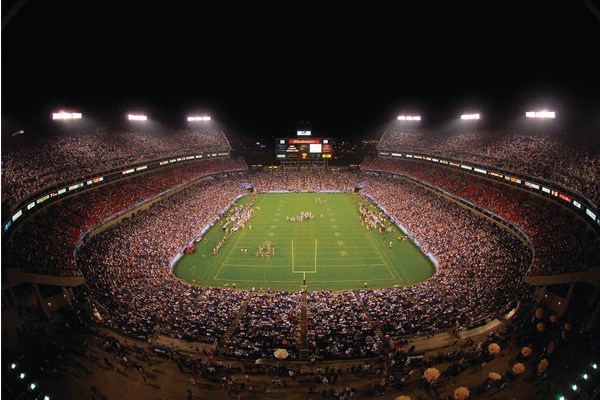 Travel to see the Tennessee Titans play at Nissan Stadium with exciting football trips throughout the season! Tennessee Titans ticket and hotel packages include quality accommodations, great seats and the game, and more! Titans Game tickets are available for all sections of the different stadiums. Visit the Music City, Stay for a Football Weekend! We love the city of Nashville! Explore the city, watch the Tennessee Titans play at Nissan Stadium, and take in famous sights including the Country Music Hall of Fame! What's included in our Titan's Packages? Stay in the heart of Nashville and enjoy great seats at the Titans game, plus choose between exploring the Country Music Hall of Fame, Johnny Cash Museum or guided city tour! Whether you are a country music fan or not, the city of Nashville is a small city with a lot of things to see and do when you aren't at the Titans game. Music fans won't want to miss the Grand Ole Opry. The nightlife in Nashville awaits you this Titans season! Tennessee Titans Tickets On Sale Now! Sports Traveler has your Tennessee Titans ticket to the game. Be at LP Field to see the Titans win! Purchase securely online in our real time inventory. Located in Nashville, Tennessee- on the east bank of the Cumberland River, Nissan Stadium is home to the Tennessee Titans. Additionally, Nissan Stadium serves as the home field for the Tennessee State Tigers and is the host for the annual Music City Bowl. The stadium opened in 1999 and has provided the Titans with an excellent home field advantage. Nissan Stadium was home to one of the greatest playoff games in NFL history. The “Music City Miracle” occurred in a 2000 AFC divisional playoff game against the Buffalo Bills. The Titans returned a last second kickoff for a touchdown to win the game and eventually propelled the Titans to the Super Bowl. Sports Traveler has tickets and travel packages to every home and away Tennessee Titans game. Customize your Tennessee Titans Football Weekend!